Valle is so called because it sits at the heart of its own small valley, secluded and sheltered by day but bathed in late afternoon sun for long slow summer evenings. The lush greenery surrounding the villa creates a peaceful seclusion allowing residents to relax in complete privacy. 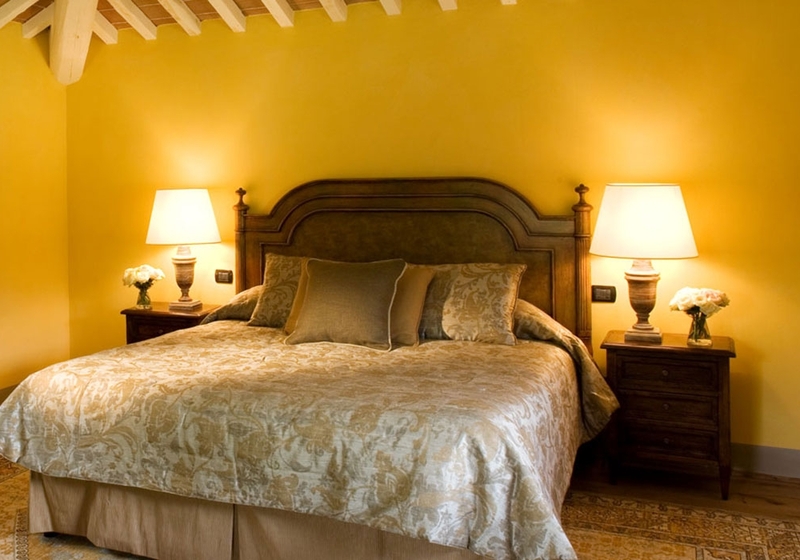 The seven-bedroom villa sleeps 13 guests and splits its rooms between the main house and an annex, a former hayloft. Both buildings have their own separate kitchens and living areas, allowing two families or groups to comfortably share the space. Inside, the main house offers a large dining and drawing room with an expansive open fireplace for cooler autumn nights, as well as a sun room complete with billiards table. Outside boasts a swimming pool, sun terrace and a jacuzzi, and adjacent to this an outside dining space under a shaded gazebo, complete with a charcoal barbecue and fridges for outdoor entertaining. And so you can keep in touch with the outside world if you wish, wireless internet access is available throughout, along with Satellite TV. For entertainment, we also supply a DVD player and Bose iPod docking station. Both buildings are fully air conditioned/heated.